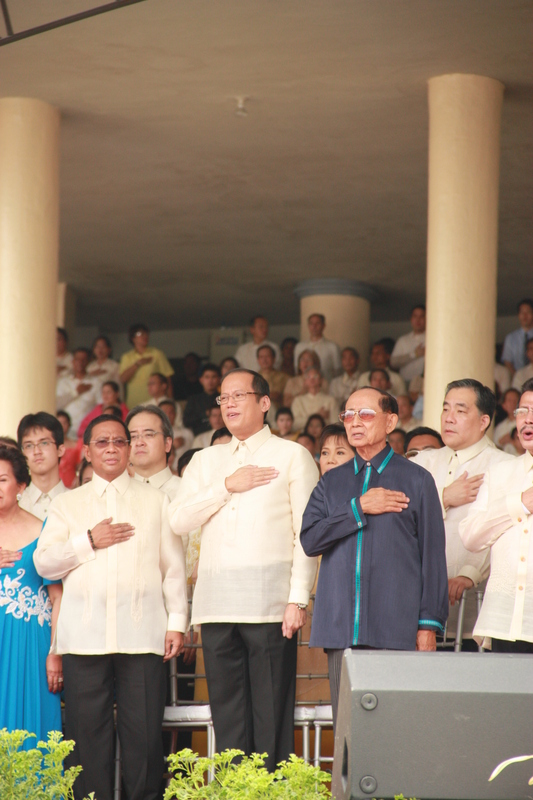 President Benigno "Noynoy" Aquino (center) with Vice President Jejomar Binay to his right. Happy belated Fourth of July! As our country celebrated its independence, the Philippines rang in its own national holiday to swear in the country’s 15th president Benigno “Noynoy” Aquino. I recently returned to S.F. from Manila where I traveled for the past few weeks to spend time with family, do a little island hopping and get the rare opportunity to attend the inauguration of the country’s 15th president on June 30. It was my first trip back to the Philippines in more than 20 years, and what an awesome way to return! Click here for my latest fashion dispatch to the San Francisco Chronicle from the front lines of all the festivities … and stay tuned for more. 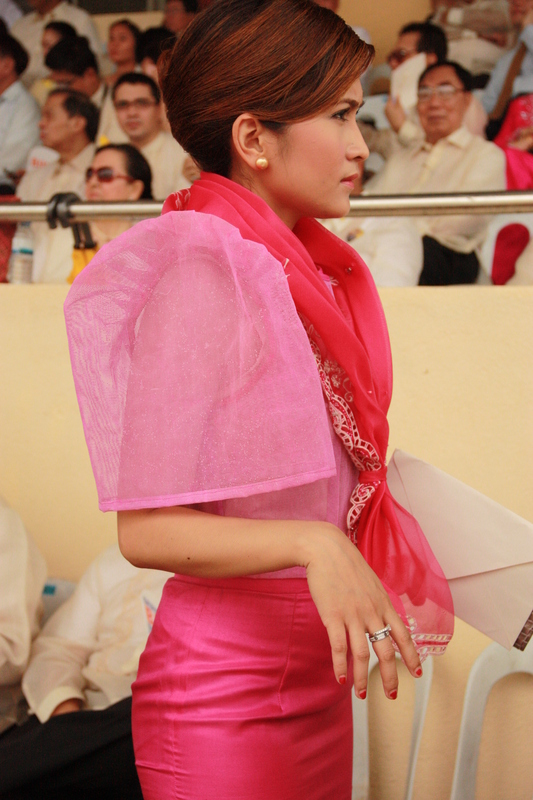 Women wore colorful custom "ternos," the traditional Filipino butterfly sleeve dress, to the inauguration at Quirino Grandstand. 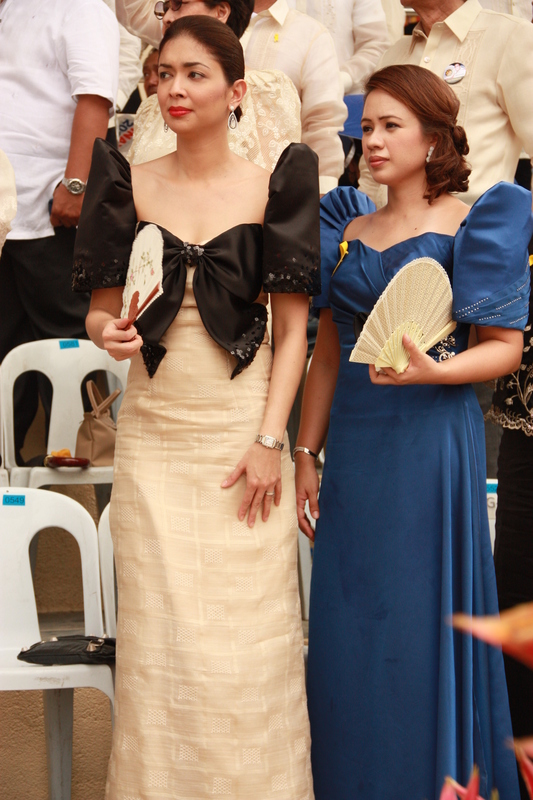 Attendees tried to stay cool using Spanish fans, both a decorative and utilitarian accessory to the "terno." 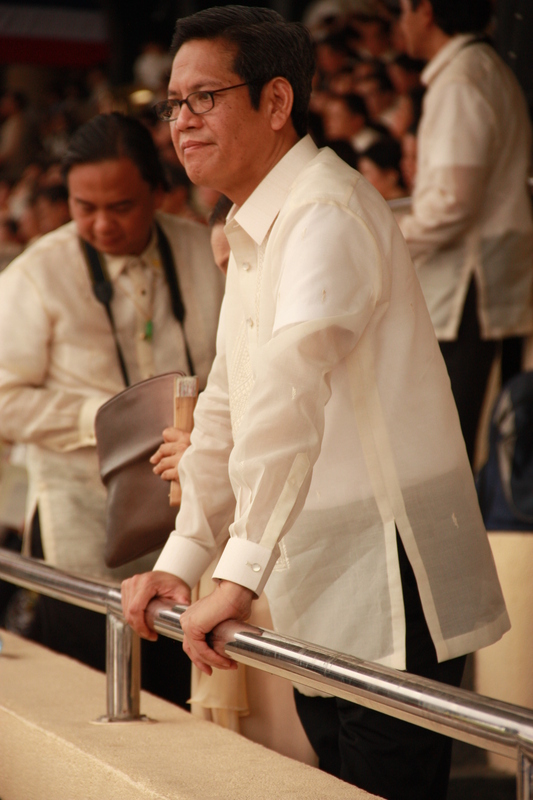 Men wore the formal "barong Tagalog," typically made from silk and pina, or pineapple fibers. All photos by Edric Itchon. Hope you can do more in other papers Nerissa. How about San Jose and Contra Costa news.